High tunnel raspberries at Cornell’s East Ithaca Farm facility. Growing Strawberries in a High Tunnel – Dr. Lewis Jett West Virginia University. 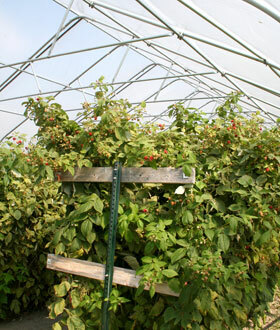 Tunnel Berries – USDA SCRI site provides information on selecting tunnel structures & plastics, optimizing productivity and pest management, and minimizing plastic waste.